Moms, Sharp gives you another quick and reliable partner in the kitchen. 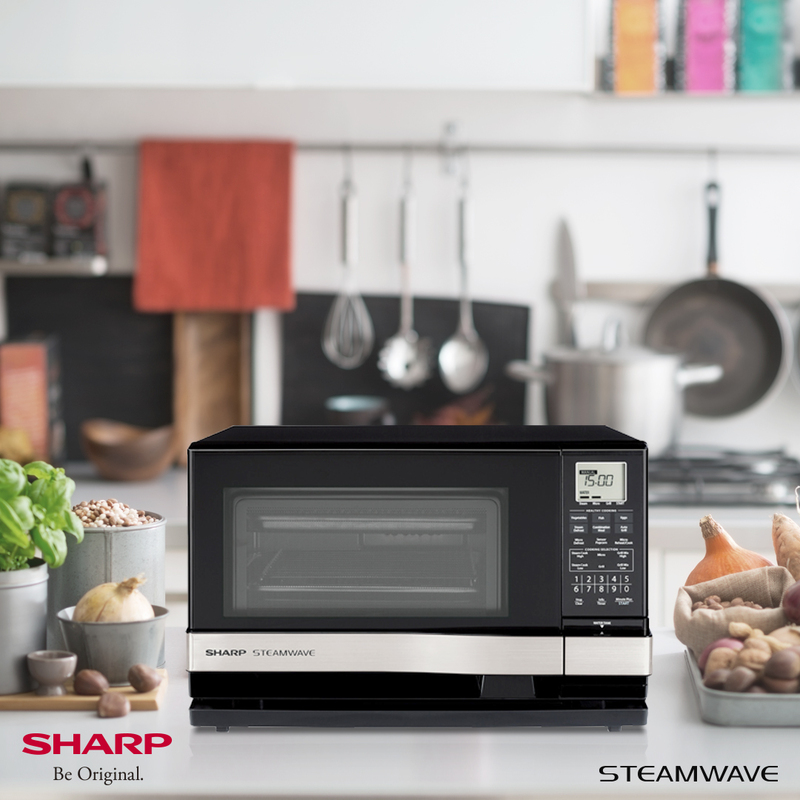 Presenting, the Sharp Steamwave Oven! I know that like me, you're also faced with a lot of things to do daily. So why overcomplicate things in the kitchen, agree? With the right equipment though, you can turn even the simplest of ingredients into a scrumptious—and nutritious—meal. Spread small amount of butter in the bottom of a foil basket. Place the trimmed asparagus stalks in the buttered foil and add salt and pepper to taste. Lay the salmon fillet on top of the stalks. Drizzle some oil and add more salt and pepper. Add some lemon zest and two dill sprigs. Pull up the ends of the foil basket to create a shallow bowl and then pour some white wine. Wrap and close the foil basket. Place the basket in the Sharp Steamwave Oven tray and then steam for 10-15 minutes, or until the salmon is cooked through. 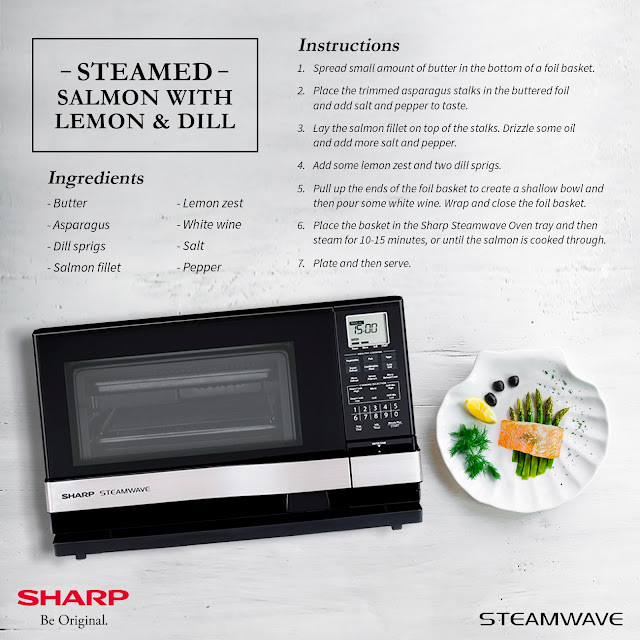 Steamed dishes with the Sharp Steamwave Oven can be your newest favorites. And with the Grill option, you can even explore on other great recipes. Whether you’re up for any steaming, grilling, or simply reheating, your dependable kitchen partner is here to help.